A new year has come and it is time for a third major update of VUnit. The update contains a number of major enhancement briefly presented in this post. We have improved the ease of use of the com message passing library. Message creation and parsing is now very simple using push/pop of any standard data type together with message types. A sending process pushes data into a message and sends it to the receiver, a bus functional model (BFM) in this example. Message types are registered with com to get a system unique identifier. The type makes it easy for the receiver to handle incoming messages correctly. We have also added better debug capabilities. It’s possible to inspect the state of the message passing system and trace messages can be enabled to see the dynamic behavior. For more information see the com user guide. In VUnit 3.0 we have a beta version of a verification component library. Using the improved com message passing it is very easy to create advanced verification components and we hope to get many pull requests from users for other bus types in the future. 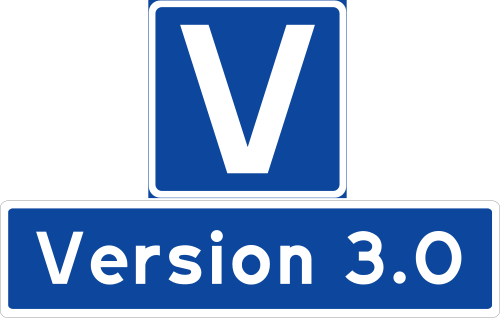 We’ve already seen some initiatives from the VUnit community based on the release candidates for VUnit 3.0. 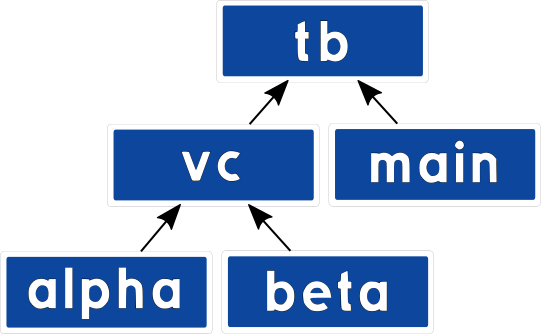 We say it is beta since we want to keep the door open to make breaking changes as we learn more together with our users. The AXI models are however already used in production environments. For more information see the verification component library user guide. VUnit 3.0 contains a number of logging framework enhancements that goes hand in hand with the verification components. We have improved the log source hierarchy support which allows loggers to be arranged in a tree structure. The position in the hierarchy is based on the logger path or instance name or by explicitly describing parent/child relationships between loggers. Once you have a hierarchy in place you can apply configuration settings and read status for the full tree, a subtree or an individual logger. The example below has the logger tree depicted above and changes the visibilty for debug messages in the vc logger subtree. The result is that debug messages from the main_logger is hidden while debug messages from the alpha and beta components are visible. Note that VUnit 3.0 introduces color logging for better identification of the more important log entries. VUnit 3.0 also introduces mocking that allows you to verify how a component interacts with the logging framework. Below is a test case that creates an error scenario that verification component alpha is expected to find and report. check_log checks the oldest log call to alpha_logger . The log call must be an error log with the given message string or the test case will fail. If there are remaining logs which haven’t been checked when calling unmock the test case will also fail. It’s possible to call mock without the second parameter but that would force us to also check the debug messages and that’s typically not needed. check_log also has a number of other parameters to verify other attributes of a log call, time for example. However, in many cases we don’t care about the exact time of the log so that parameter is optional. For more information see the logging user guide.